Are you stuck in a cycle of continually sabotaging your diet? Here, we share how you can break this routine and stop self sabotage once and for all. Whether it’s telling yourself that you deserve a cupcake after that amazing workout or procrastinating about starting your diet, many of us have experienced self-sabotage in one way or another. The problem is that it can become a pattern that’s hard to break. If you ever find yourself asking, ‘Why, why, why do I do this to myself?’ The following is a must-read. Firstly, it’s important to realise that people don’t mean to sabotage themselves. Self-sabotaging behaviour is an unconscious and misguided attempt to protect ourselves from being hurt or experiencing negative emotions. There are a number of reasons why we self-sabotage, and one of them is that pesky inner voice which tells us that we can’t do something or that it’s not worth the effort anyway. We can be subjected to years of these unhelpful messages that end up becoming our default thinking style. ‘I eat when I am emotional’. ‘I need chocolate when I am stressed’. Sound familiar? How can we break the pattern of self-sabotage? 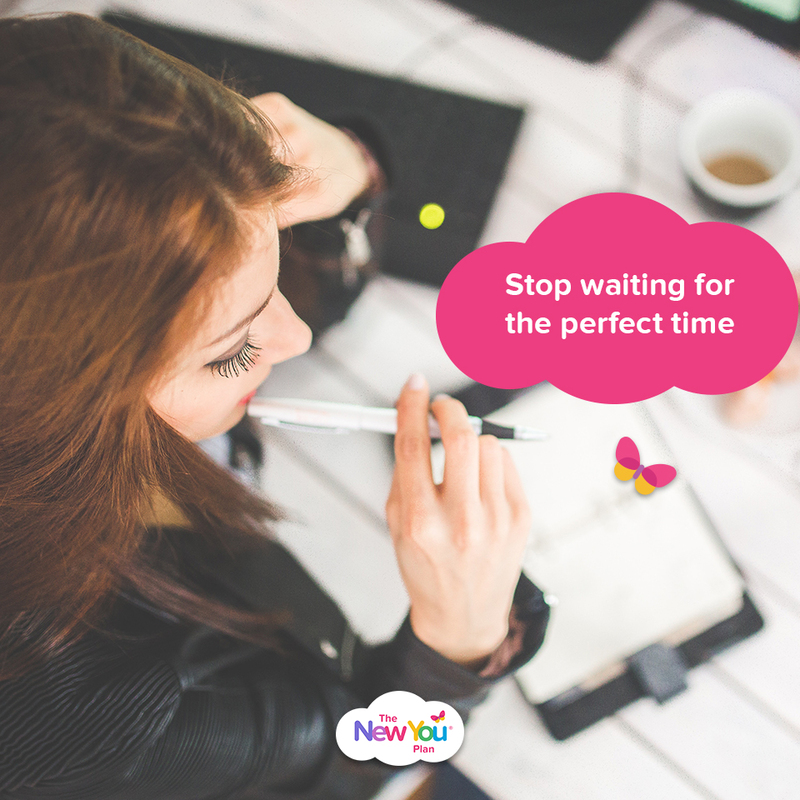 It’s common to want to wait around for the feeling that will tell you when you’re ready to start that diet, apply for a new job or take up running, but you may be waiting a long time. Instead, adopt an approach of ‘I’m willing to do it’ and move forward with a willingness to commit to an action, even if ‘wanting to do it’ never shows up. Remember that while our thoughts can have an influence over us if we let them, they don’t control us, so we can have a thought (‘I don’t want to do it’) and do it anyway (see every pile of ironing that you have worked your way through). This may feel like a big push, but typically accomplishing our goal (or even a small part of that goal) in the face of not wanting to do it is highly rewarding and self-empowering. A strict all-or-nothing mentality is often rigid and self-defeating and if self-demands are too unrealistic or inflexible then they will likely set us up for failure. 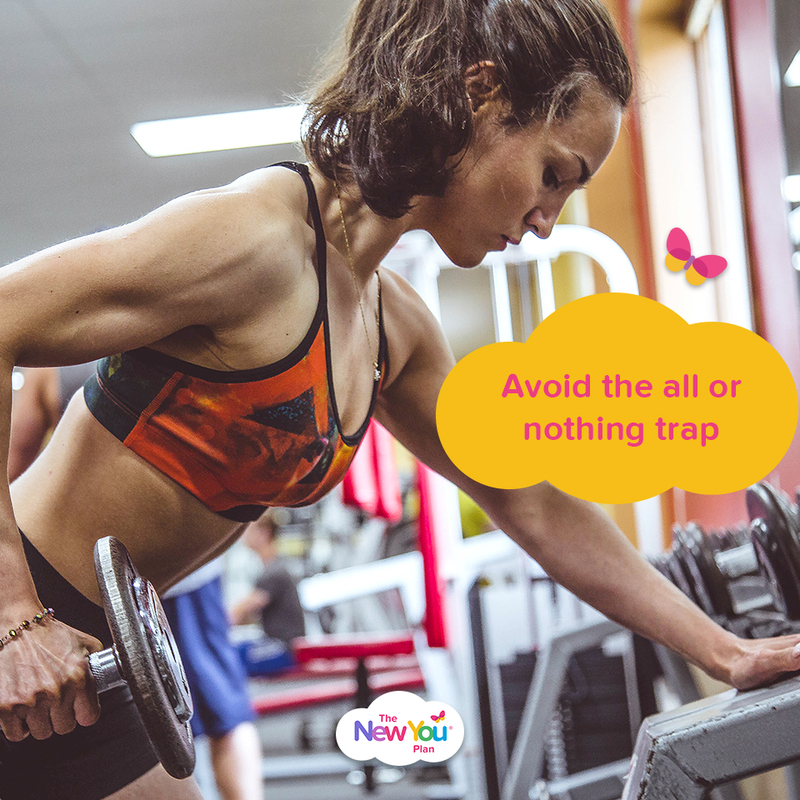 If you’ve fallen off the diet wagon, given up on yoga or find yourself forgetting to listen to that Italian language CD, identify small ways you can move ahead instead of labelling such setbacks as a failure. Try picking up where you left off with your diet, rather than excessively restricting, roll out your yoga mat and just do one pose or maybe put some Italian music on and listen to the lyrics. You may find this encourages you to get back up to speed, but even if it doesn’t, you will still be staying the course. Notice the function behind what your mind is saying to you – it might just be trying to keep you safe. If you keep telling yourself that you can’t continue with your diet because it’s boring, too hard or you DESERVE a treat; realise that your mind is, in fact, working hard to keep you in your comfort zone. No diet that is solely based on the food you eat will help you figure out why you gained weight in the first place. A diet won’t fix emotional, mindless, stress-induced eating, and it won’t fix habitual, compulsive binge-eating. Basically, a diet won’t get to the root cause of why you overeat. 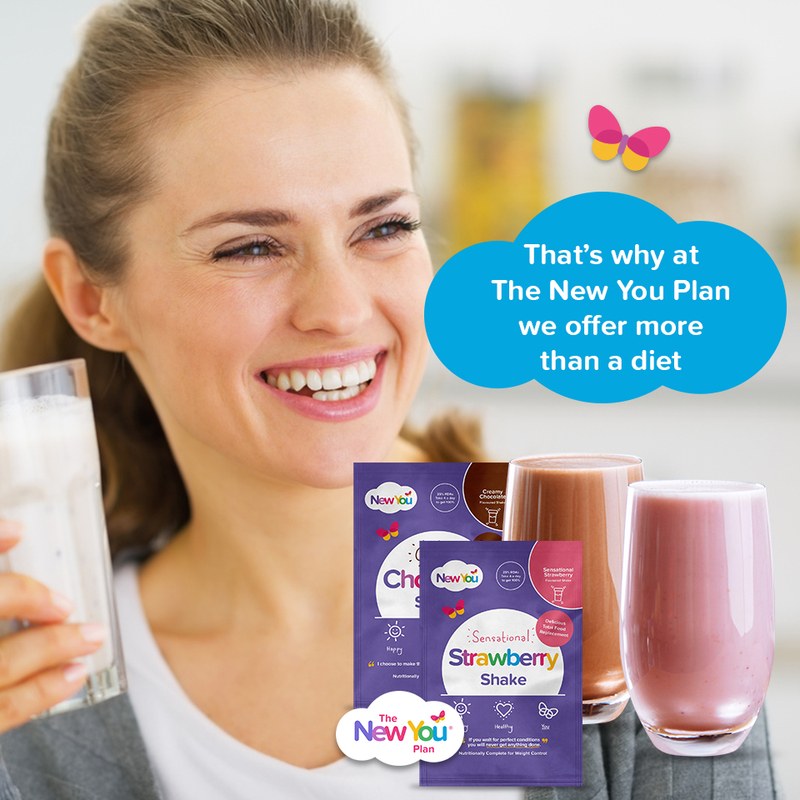 That’s why at The New You Plan we offer more than a diet. We encourage you to examine patterns of behaviour which become strongly apparent when you are on a meal replacement plan. And then we help you embed new healthier patterns. “I always thought that a fear of failure was holding me back. When I purchased the 7 Day Kick Start Plan, my first thought was ‘I don’t want this to be yet another failed diet attempt’. Surprisingly it was actually the fear of success that was holding me back the most. Because I chose the Total Food Replacement plan I realised just how often I used food as a way to temporarily escape from reality. I had to learn to deal with uncomfortable feelings such as self-doubt, regret, disappointment and fear because for the first time ever I wasn’t suppressing them with food. 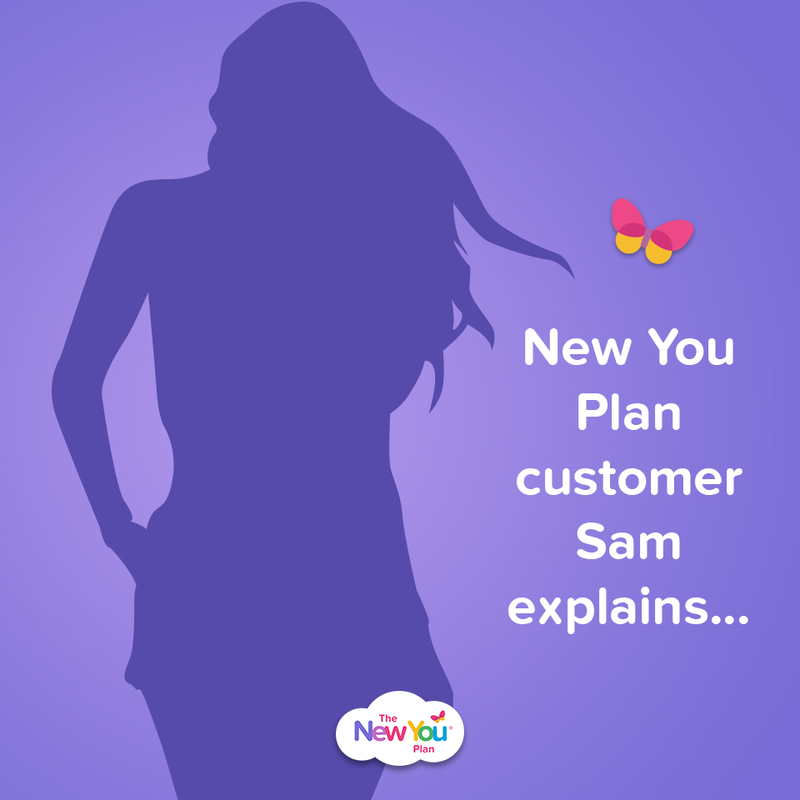 While we believe that The New You Plan is pretty amazing when it comes to both weight loss and support, the best diet in the world is not going to work if a part of you wants to destroy progress toward your goals. The only way to grow is to deliberately move out of your comfort zone as often as possible and become more accustomed to feelings of discomfort. As you get more and more used to this discomfort, you’ll find that your mind learns that it’s not so bad (or dangerous) after all. ‘Sliding Doors’ moments are when you can choose to move towards your goal or away from it. It’s that moment when you decide you’ll turn on Netflix instead of heading out for a walk or press snooze on the alarm clock when you had planned an early morning meditation session. When you reach these moments, notice them, along with any other self-sabotaging inner dialogue, and see if you can mindfully step back and look at your choices. Choosing actions, however small, with full awareness will encourage good habits and momentum. Perfectionism is an illusion that we easily buy into. While the desire to be perfect is common among high achievers, it is often rigid and self-defeating and implies that mistakes are not acceptable. Such as when you break your diet with a small piece of chocolate then decide to write the whole day/ week/month off because you haven’t been ‘perfect’. Procrastination is also a very common way to self-sabotage, due to fear that the task won’t be completed to the necessary high standard. Look towards role models or mentors on our New You Secret Slimmers page who are working towards their weight loss target and acknowledge that even with occasional slip -ups – they are succeeding. It’s important that you give yourself permission to be human – you are entitled to make mistakes and grow from them, like everyone else. If a fear of self-sabotage is holding you back from the life of your dreams at a healthy weight, now is the time to take action. 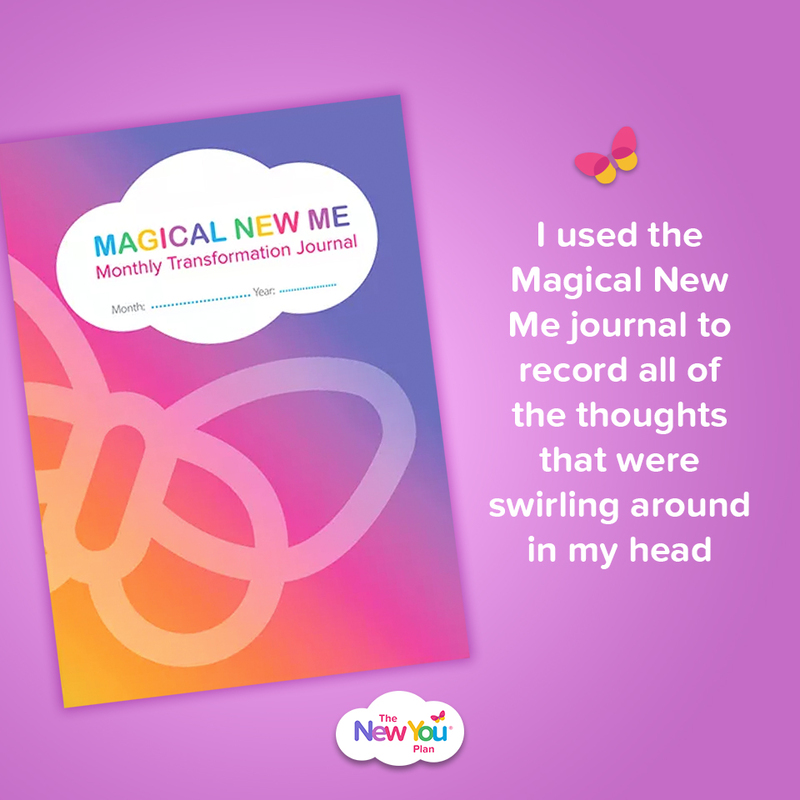 At The New You Plan we KNOW the creature that is self-sabotage and we can show you how to both know it and how to defeat it. For more information, click here to GET STARTED.